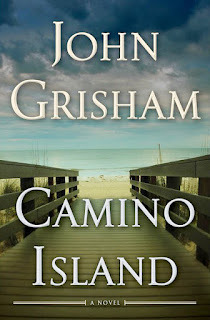 DinkNeSmith.com: Why has John Grisham spiced up his novels? Why has John Grisham spiced up his novels? Somewhere along John Grisham’s trail of novels, I lost count. Have I read 31, or has it been 34? Since A Time to Kill, I’ve been religiously adding his books to my shelves. Most every year, Grisham will release one. Sometimes he’ll write two. A Time to Kill almost died—unsold in boxes—in the trunk of his car. Then he unfurled The Firm, which became a box-office hit. So did his first book and soon-to-follow The Client. Suddenly, the world couldn’t get enough of the lawyer-turned-novelist’s legal thrillers. I am guilty. My average read time for each new book is three nights. With summer here and longer daylight reading time on the porch, I was ready for Camino Island. Some critics muse: “It’s not up to Grisham standards.” Maybe not, but I raced through the just-shy-of-300 pages. Here are my thoughts. The main character, Mercer Mann, is not a lawyer. That’s right. Mercer is a young, unemployed college professor seeking to write her second novel. 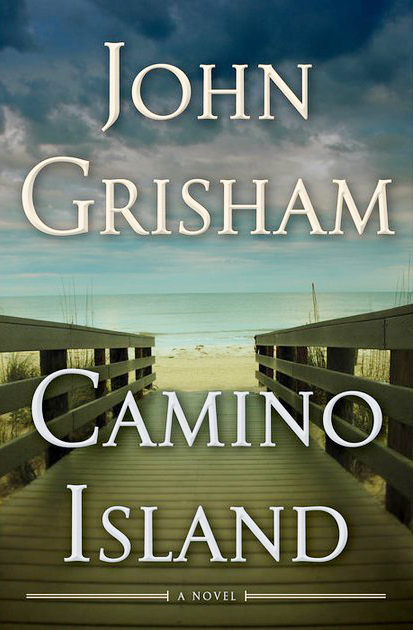 She’s lured out of Chapel Hill to Camino Island to become a richly rewarded mole in a private investigation. There’s been a heist of rare F. Scott Fitzgerald manuscripts from a Princeton University vault. The documents are insured for $25 million. Mercer is reluctant from the start, but money lubricates those hesitant notions. Pretty soon, she slides into her sleuth role, and she’s not too shy to take advantage of her bikini-worthiness. After all, her assignment is on an island famous for its sand, surf and sun. You don’t have to be Sherlock Holmes to figure out Camino is really Amelia Island or Fernandina Beach. That made me more eager to turn the pages. I’m also a sucker for independent bookstores. Grisham has a home in Oxford, where he earned his law degree at Ole Miss. That quintessential college town, home of the late William Faulkner, is also where you’ll find Square Books. I’ve bought my share of reading material there. It’s arguably one of the best independent bookstores in America. You can see how he patterns Camino Island’s Bay Books after the famous bookseller on Oxford’s square. Besides no lawyer in the lead role, I noticed something else. Years ago, I read where John Grisham wouldn’t write anything which might embarrass his mother. In the last few novels, he’s started to spice up his prose. Occasional profanity pops in and out, and he’s starting to stray by working in the tangling of sheets. Mercer Mann goes “undercover,” literally. With a few clicks of research, I found out why. Wanda Skidmore Grisham died in 2015. Are you familiar with Greg Isles? I wasn’t until someone sent me Natchez Burning and Bone Tree. Fifteen hundred-plus pages later, I was hooked and pounced on the last of the trilogy—Mississippi Blood. Iles is Grisham on an overload of steroids. It is riveting reading, but you need to know this: Mama Grisham would not have approved.